Popular scouring powders contain ingredients known to cause cancer, respiratory distress, lymphoma, lung cancer, lung tumors, allergies and skin irritations. We can create our own scouring powder at home with affordable and simple yet very effective ingredients. 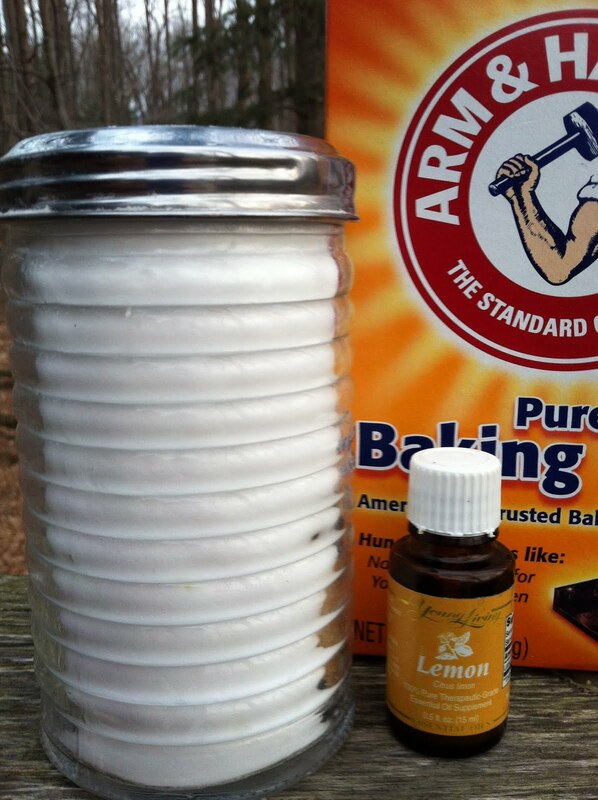 Fill the glass sugar shaker with baking soda, then add 25 total drops of Essential Oils. I recently used 20 drops of Lemon and 5 drops of Eucalyptus globulus, which are antiseptic and anti-infectious. This combination smells fresh and light, too! Shake well before using. Simply sprinkle on surface (linoleum floors, sink, tub, shower, toilet) and clean using a scrub sponge, then rinse with warm water. For deodorizing carpets, simply sprinkle on carpet, wait 1 hour, then vacuum. Avoid direct eye contact. Store in cool, dark cupboard out of reach of children and pets. Make 1 for a friend.